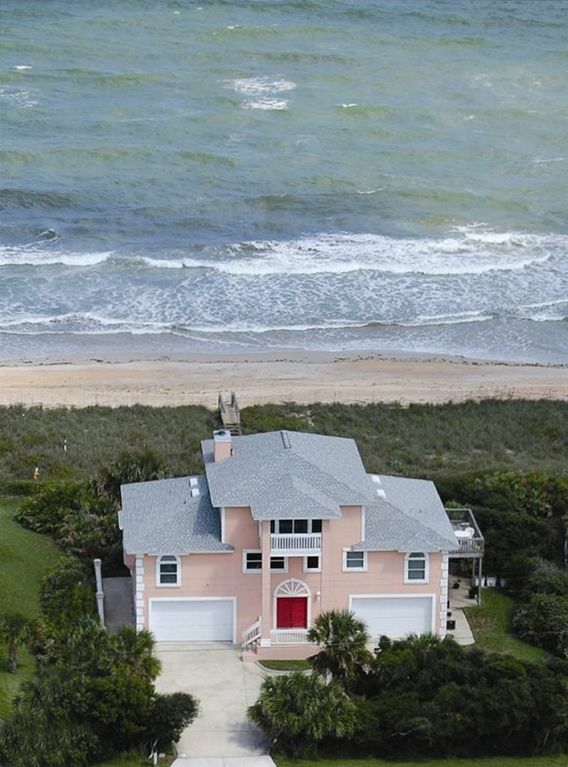 Guarda il surf e lascia che i delfini ti intrattengano in questa casa di fronte all'oceano immersa nelle dune di sabbia a South Ponte Vedra Beach, sulla costa orientale della Florida! Goditi una tazza di caffè sull'enorme terrazza e guarda il sole che sorge sull'oceano. La sera, sorseggiate il vostro cocktail sul ponte del terzo piano mentre il sole tramonta sul lago Guana. Il tuo rifugio per le vacanze è a pochi minuti da ottimi ristoranti a Ponte Vedra Beach, Jacksonville e St. Agostino. Il famoso TPC Golf Course, sede del The Players Championship, e The World Golf Village si trovano nelle vicinanze. Disney World, Sea World, Universal Studios, Dolphin Cove e altre attrazioni di Orlando sono una gita facile come il Kennedy Space Center. Prima del check-in verrà fornito un elenco di attività della zona e ristoranti. A partire dal Ringraziamento, la nostra comunità ospita le notti di luci, una bellissima esposizione di luci e alberi di Natale in tutta l'area. La nostra casa segue questo tema con un'illuminazione esterna abbagliante! Un momento ideale per portare la tua famiglia! La casa è stata architettonicamente progettata dal suo proprietario. Ha tre suite per gli ospiti separate, ognuna con il proprio riscaldamento e aria condizionata. La master suite dispone di una camera da letto king-size di fronte all'oceano e una seconda camera da letto con un set di letti singoli. Il bagno della suite padronale ha una vasca idromassaggio doppia, una doccia doppia, due lavandini e un bidet. Le altre suite dispongono di una camera da letto king-size e una camera doppia con bagno separato per ogni suite. Per i più piccoli sono disponibili un lettino per i bambini, una culla, un seggiolone, un passeggino, tavole da boogie e giochi da spiaggia, oltre a una doccia all'aperto. La grande sala espansiva è lunga 45 piedi con un soffitto a cattedrale alto 24 piedi e grandi finestre panoramiche con vista sull'oceano. La cucina è aperta alla grande sala e ha una vista favolosa sia dell'oceano e Guana Preserve. Il loft al terzo piano dispone di aree salotto e ponti esterni con vista sull'oceano e sul Lago Guana. Luminoso e luminoso con arredamento da spiaggia, questa casa è aperta e allegra. All'esterno, i ponti avvolgenti si affacciano sull'oceano e una passeggiata sulla duna ti porta sulla spiaggia in pochi secondi. Prepara le infradito e i costumi da bagno e fai un viaggio in paradiso! Abbiamo avuto 23 piccoli matrimoni di famiglia sulla nostra spiaggia e perché la casa ha una grande sala che è lunga 45 piedi e un soffitto a volta di 24 piedi di altezza, è stato molto adatto che se succede a piovere per avere il matrimonio dentro. Lo spazio può ospitare fino a 30 persone. La casa dispone di 7 letti singoli e 3 letti king size + letto per i giovani e un pacco e un letto da gioco + 2 divani estraibili queen size. NOTA BENE: DURANTE I PERIODI DI VACANZA DI VACANZA E DI VACANZA, NOLEGGI I NOLEGGI DI SOGGIORNI DI SETTIMANA SONO NECESSARI. The house was perfect for our family when they visited. Ralph was very helpful making sure we were taken care of. This was one of our best vacations with the grand kids. They all had their own bedrooms and the house was big with plenty of room to spread out. And a plus to this rental was working with Ralph the most accommodating owner you will ever have. A very lovely property with spectacular views. We thoroughly enjoyed our time there and wish we could have stayed longer. The owners are great people and very attentive. We hope to stay there again in the future. Great location and ocean view. Perfect setup for multiple families. Local owner is very responsive and easy to work with. It's so wonderful to arrive at a home and be greeted by such a nice gentleman. Mr Emerson was gracious and wonderful and their home is absolutely spectacular. We celebrated my husbands 70th birthday with all of his siblings their spouses all of our children and all of our grandchildren. There's plenty of room to cook, socialize, have all our meals together and watch the children play on the beach. I would like to add, aside from the house being in very very good condition with beautiful views of the beach everywhere, he also pays close attention to detail towards making the house children friendly and safe. I would highly recommend this home and working with Mr. Emerson to anybody who wants to get together with their family and friends. Wow, thank you so much for your great review! It was a pleasure having you and your family at our beach house and getting to know you a bit! We are so happy you enjoyed your time there. We so appreciate your treating our house as your home and leaving it in great shape - we probably could have skipped the cleaning people! We hope you can visit us again in the future. Thanks again and enjoy your summer! Wonderful home for a family Christmas gathering! This home was perfect for a family Christmas gathering. Mr. Emerson was so pleasant and accommodating during the reservation process and continued to offer his services during our stay. There was a decorated Christmas tree and poinsettias placed throughout the home to make the home very festive. All we had to do was bring the gifts. The kitchen is fully stocked so that preparing Christmas Eve and Christmas Day dinners were a breeze. The sunrises and sunsets from the east and west facing decks were spectacular. It was truly a wonderful place to enjoy Christmas with family. Wow - thank you so much for your kind review, Pat! I am so pleased you and your family had a good stay and I'm glad we were able to contribute to the enjoyment of your holidays! Thank you again for taking the time to post a review, and I hope to see you again in the future. We have had 23 small Family weddings on our beach and because the house has a great room that is 45 ft long and a vaulted ceiling of 24 feet high, it has been very suitable that if happens to rain to have the wedding inside. There is enough space for this type of gatherings to accommodate up to 30 people Rentals during a holiday need to either be for 7 nights stay minimum or pay $3500 plus fees to rent. We offer a discount if you book within a weekly stay of more that 3 nights but less than 7 nights.